The Venice Friendship Center is a hotbed of activity for card sharks and game players of all kinds. It’s a great way to meet new people, and one of the keys to keeping aging brains engaged and stimulated. 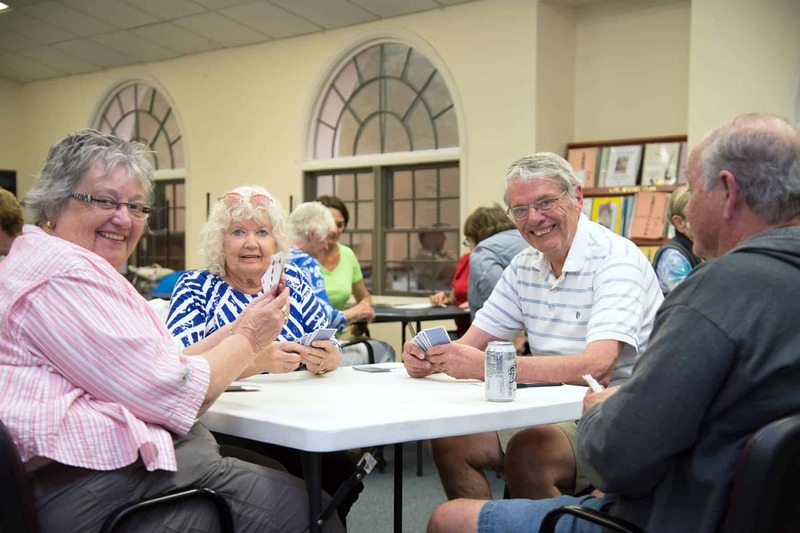 The Friendship Centers in Sarasota County host a wide array of games, from bingo and bridge to canasta, mahjong (including lessons) and pinochle. And depending on the time of year, we also offer chess and euchre – all games guaranteed to help seniors live a mentally active life and enjoy time with friends. Bingo doesn’t take too much brainpower, but it’s a very social activity; devotees often gather in the morning and stick around to enjoy lunch together, followed by music and dancing. Check out the calendars for the current schedule of games, or read the latest issue of Prime Times.